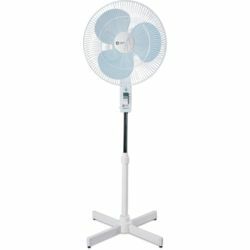 The Orient Electric Stand 39 has got almost everything one could ask for in a portable stand fan. 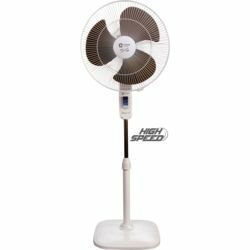 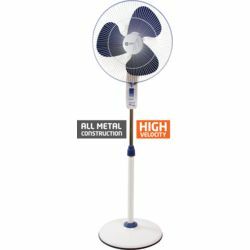 It allows Breeze Control operation through remote to allow the fan to cycle through high, medium and low speed to suit your personal liking. 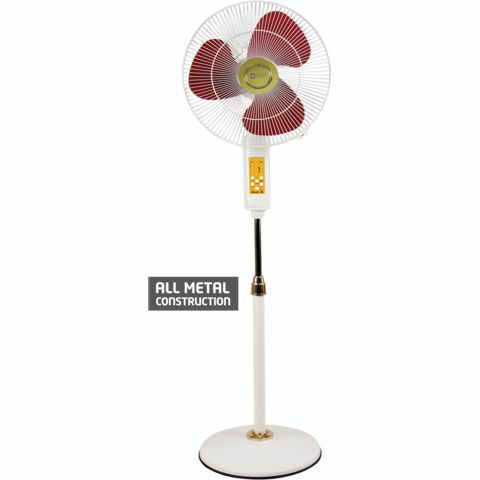 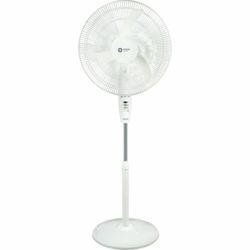 This stand fan comes loaded with a horde of features that include remote controlled timer, breeze, speed, oscillation & on/off function, touch button for manual operation, telescopic arrangement for full height adjustment and extra protection against corrosion with powder coated guard and polymer ring.